Beijing is an amazing place if you love biking. There are countless nooks and crannies in this wonderful, ancient city to explore, and the best way to discover them is by bike. Along with being a great form of exercise, biking liberates you from the choice of public transport or horrendous traffic and gets you where you need to be. With this in mind, we enlisted a group of British School of Beijing (BSB), Shunyi students to tell us exactly how their relationship with biking, for sport and leisure, has developed, along with how to make the most of this city by solely using your own generated power and thirst for adventure. Disclaimer: While biking in Beijing is generally safe, it is important to ride with a helmet and with caution to avoid injury. Bike safe, and smart! Beijing, once affectionately named “The Kingdom of Bikes,“ is a city known for its huge number of two-wheeled people movers. But with the rise of bike sharing and thousands of new bikes now flooding the streets due to companies like Mobike and Ofo, biking has entered a new era. We are also blessed with wide roads and bike lanes that simply don’t exist in many other countries, which can make cycling a great way to get around compared to other modes of transport. Beijing has some fantastic routes to offer, which is great for mobile teens like myself. The best way is to plan your route around your interests. You can discover the new restaurants and cafés constantly popping up downtown, and get lost in Beijing. There is truly no better way to get to know a city. Besides, you won’t be lost for long as your convenient GPS will immediately guide you safely home. Start in Sanlitun, perhaps the most well-known of Beijing’s shopping areas, and continue towards CBD which is only a short trip south. CBD and Sanlitun are the best places to shop and indulge in delicious food in Beijing. You can explore the boutiques at Taikoo Li, U Town Mall, China World Mall, and many more. Or you can take the day to become a full-blown foodie with your mates. You can find restaurants offering all kinds of cuisines here – from all around China, to Thai, Japanese, Italian, and German. New art gallery you want to visit? Brilliant! Many galleries are clustered around each other in 798, which is the perfect place to begin. This is the most famous spot to experience contemporary art in the city. From there, it’s 4 km by bike to Caochangdi, another famous (though quickly gentrifying) area for galleries. If you live in Shunyi, you can journey on to the Red Brick Art Museum in the northeast of Beijing, another 5.5 km ride. Here, there is a very picturesque garden for taking pictures with your friends. Spend as much time as you want perusing the different exhibitions. There is no need to adhere to any schedule (although I’d recommend checking opening and closing times beforehand to avoid mishaps). You can spend many days exploring Beijing’s vibrant art scene on your bike. Want to see famous landmarks, but don’t want to spend all day waiting in lengthy queues? Ride west along Chang’an Avenue, and you’re guaranteed the best views of Tiananmen Square. Continue through the historic parts of Beijing with its traditional hutongs to get that truly perfect Instagram post. From here, it’s not a long ride to hit up major tourist hotspots, like Jingshan Park or the Lama Temple. Park your bike and venture down Nanluoguxiang, or explore the more secluded hipster spots in Beijing’s hutongs. Enjoy the scenic route? Continue along Hepingli West Street until you reach the Temple of Earth (Ditan Park). Cycling through old Beijing will give you a different view of the city, and allow you to enjoy how the new weaves itself into the older parts of the city. Turn on a tracking app to record how far you managed to cycle that day if you want to impress your friends with your newfound athleticism. Furthermore, the exercise provided by riding your bike is also a great stress reliever – particularly for teenagers. Let’s face it, we have all pulled stressful all-nighters, trying to put the finishing touches to our physics projects, English papers, and history presentations. Biking is a great way to deal with such stress. So if you have a minute, grab some friends and experience the city on two wheels, powered only by your own willpower and, of course, your insatiable thirst for adventure. 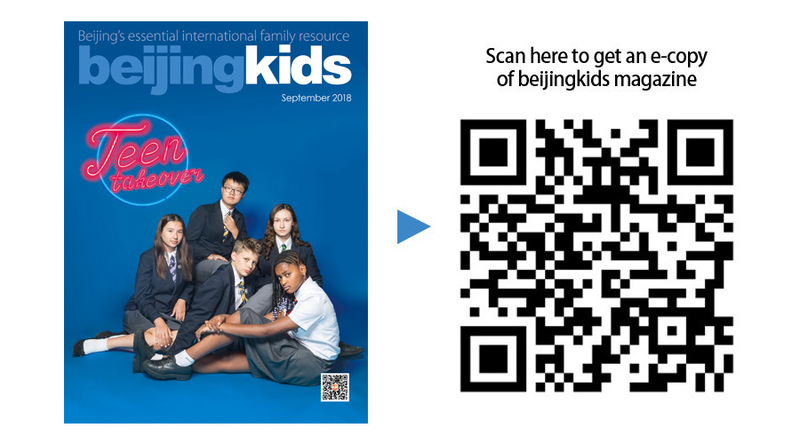 A complete version of this article appears on p49-52 of the beijingkids September 2018 Teen Takeover issue.